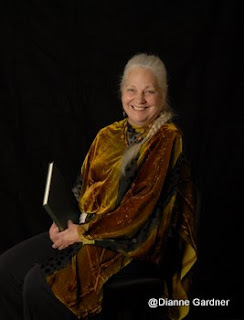 Today I have the pleasure of sharing with you a wonderful guest post by Dianne Lynn Gardner, the author of Deception Peak. 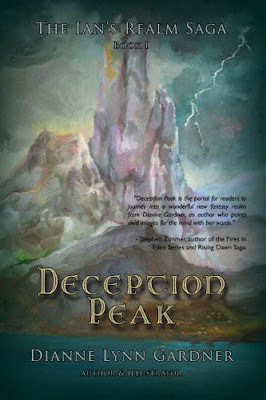 Deception Peak is an exciting new fantasy novel (first in a trilogy) that tells the story of Ian Wilson and his father as they get launched on a crazy adventure involving another realm, a dragon and a whole lot of breathtaking action! 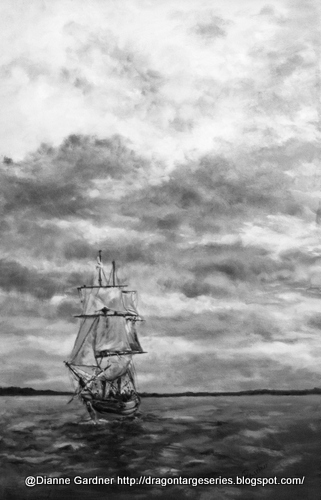 I’ve been an artist almost all my life, having started oil painting at a young age of eight. Prompted and encouraged by my mother who was also an oil painter, I was given private tutoring lessons by a well-known sculptress in California in my childhood. Mentors educated me throughout my life, and I complemented those personal sessions with college classes, workshops with names such as Ned Mueller, Richard Humphrey and Jim Lamb, and one on one instruction with Master Sculptor John Henry Waddell. The classical arts have always been my passion. So why write when I spend so much time expressing myself in the visual arts, you ask? I don’t see a difference between the written word and the visual. Art is a language and if I can paint a picture that you can see with my brush, I should be able to paint a picture that you can see with my pen. That said, I’m beginning to discover that if I want to say something, the pen is a clearer and more precise means of saying it. Though I love the abstract communication of visual art, I’m enjoying the fun of story telling. I’d move onto video and film if I could simply because of the joy of it. In answer to the question how does an artist approach writing, both visual art and story telling have their beginnings in abstract form. To an artist it’s a matter of blocking in shapes and values in a pleasing composition. As the artwork progresses, those shapes and values become more defined, more values and shapes are added until the smallest detail is applied, paying attention to edges, perspectives, color harmony and design. The same is true with a novel. The abstract is the story idea. Plot and subplots (shapes) are intertwined around the theme (composition) and placed into the story to make a colorful design. One thing the artist is capable of doing is seeing the final product while looking at a blank canvas. A writer should be able to do the same thing, to a degree. Granted, their characters like to sometimes run away with the story (and as long as you have some control over them that should add to the twists and turns that surprises both the author and the reader), but the author should be able to determine the whole of the written work the same way as an artist sees their painting. Isn’t that what creativity is about? Seeing something from nothing, and carrying it through until it’s finished…although it’s been brought to my attention, man does not create, he can only recreate. Which might be another topic for discussion that falls under the title, ‘there’s nothing new under the sun”! Deception Peak is the first book in a trilogy. The next installment, The Dragon Shield is due to come out the beginning of 2013, and the third book, Rubies and Robbers will follow. There are four short stories that will be published before the The Dragon Shield that interweave the history and magic of The Realm, that are titled The Tale of the Four Wizards-Patriarchs of the Realm. The first story Silvio will be released in November of this year. Watch for it on Amazon! Dianne Lynn Gardner is both an author and illustrator. She’s an active member of the Society of Children’s Book Writers and Illustrators, and the National League of American Pen Women. She has written Young Adult Fantasy novels as well as articles for national magazines and newspapers and she is an award winning artist. Connect with Dianne Lynn Gardner! As an artist, Dianne is making available a wonderful prize of an 11X14 matte-finished print of her main character Ian, in its original color (in the print version of the book it is black and white). She’s adding a signed copy of Deception Peak, swag, and a couple runner-up prizes too! For more tour stops, please take a look at the full tour schedule below! Awesome post Evie thanks so much for taking part in the tour. Thanks so much for putting this lovely post together. It looks great!